In January 2004 the Government introduced a requirement that all persons aged 18 years or over, who are accepted for naturalisation or registration as British citizens, must take a citizenship oath and pledge at a Citizenship Ceremony. A Citizenship Ceremony is a memorable and enjoyable event that celebrates the important occasion of becoming a British Citizen. A Citizenship Ceremony involves prospective citizens making an oath of allegiance to Her Majesty the Queen and a pledge of loyalty to the United Kingdom. 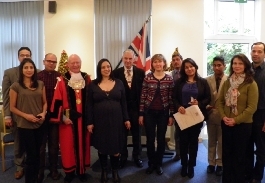 All six unitary authorities in Berkshire hold Citizenship Ceremonies. 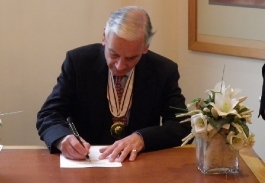 The Home Office encourage Lord-Lieutenants take part in Citizenship Ceremonies and the Lord-Lieutenant, the Vice Lord-Lieutenant or a Deputy Lieutenant is present at most ceremonies in Berkshire. They play an active role in the formal ceremony and enjoy the informal role of meeting the new citizens and welcoming them to the County.